Hyperdimension Neptunia, a game that should have been more exciting, is getting a sequel. With very young girls. And Keiji Inafune. In 2010, Keiji Inafune, best known for his work on Mega Man and Dead Rising, became an internet iconic in Japan. He's opinionated and quotable. That's not all—he appears to be a summons in an upcoming game. A recent Japanese magazine article shows images of Inafune in the game and lists him as "a human weapon". Keiji Inafune isn't just a game designer. He's a human weapon, out to save the Japanese game industry, which he famously said was "dead" back in 2009. 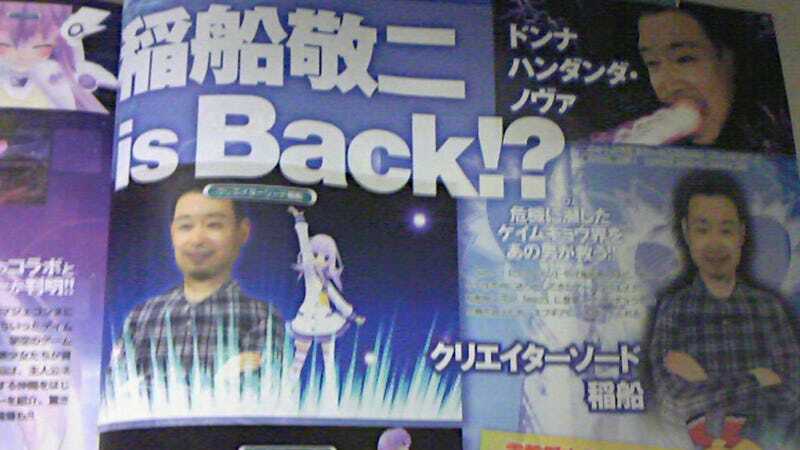 Hyperdimension Neptuna mk.2 goes on sale this August in Japan, Keiji Inafune cameo, young girls and all.